Offered products and services are provided with a special care being taken to preserve the environment and keeping safe and clean work conditions. 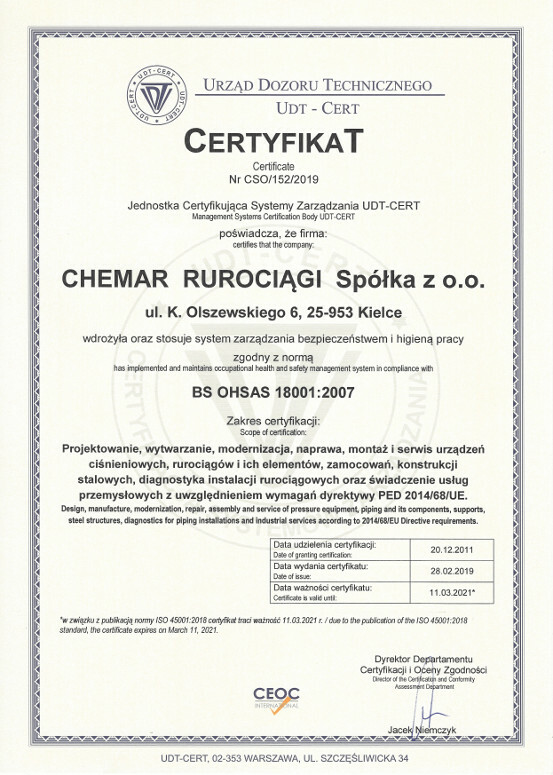 It is achieved by implementing and improving Integrated Quality, Environmental, Occupational Health and Safety Management System fulfilling requirements of EN ISO 14001:2004 and PN-N-18001:2004 (OHSAS 18001:2007) Standards. 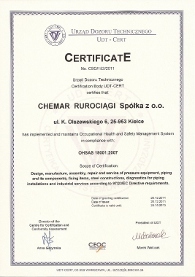 Employees engaged in erection works abroad possess safety VCA/SCC certificates compliant with VCA/SCC 2008.05 Standard.